Discover the Intelligent Data Hub unique platform for Master Data Management (MDM), Reference Data Management (RDM), Application Data Management (ADM), Data Quality, and Data Governance. Organizations of all sizes and industries benefit from a full set of features to build production-ready operational and analytical applications in a single environment. All your critical data, processes and governance in one place. Reclaim ownership of your critical data with an intuitive self-service user experience. Enhance, standardize and blend your data from multiple internal and external sources. Enforce validation rules and policies to comply with governance and regulations. Discover, understand, explain, and share a consolidated view of your reference and master data. Manage, crowd-curate, and empower your peers with reliable data enforcing your policies. Classify, browse, query and search your data history and lineage. Relate all of it with powerful graphs. Deliver dashboards and measure the quality and efficiency of the data initiative in context with business KPIs. Semarchy experts can walk you through the details of xDM in the context of your business requirements and industry. We will be happy to tailor a comprehensive custom demonstration highlighting the features that will make your future project successful. Design in weeks a comprehensive data model with rules, policies, and workflows specific to your domain, implementation style or business cases. Use real-time and batch APIs to quickly integrate the data hub with your existing applications and business processes. Rely on an enterprise scale, secured and highly-available architecture that runs on-premises or in the Cloud. Ready to see what an Intelligent Data Hub is all about? 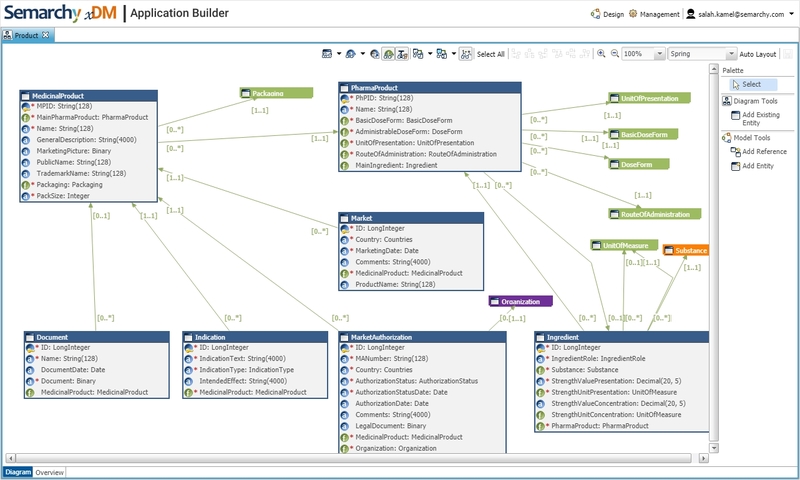 Design a comprehensive data model with everything needed for your data management initiative: structures, terms & definitions, rules, policies, validations, user interfaces, workflows, roles and privileges. Generated APIs (REST, SQL) support batch or real-time bi-directional data integration and let any application use all the capabilities of the intelligent data hub. Define any type of data quality policies as part of the data model or leverage external services. xDM enforces them at the point of entry or as part of the integration flows. 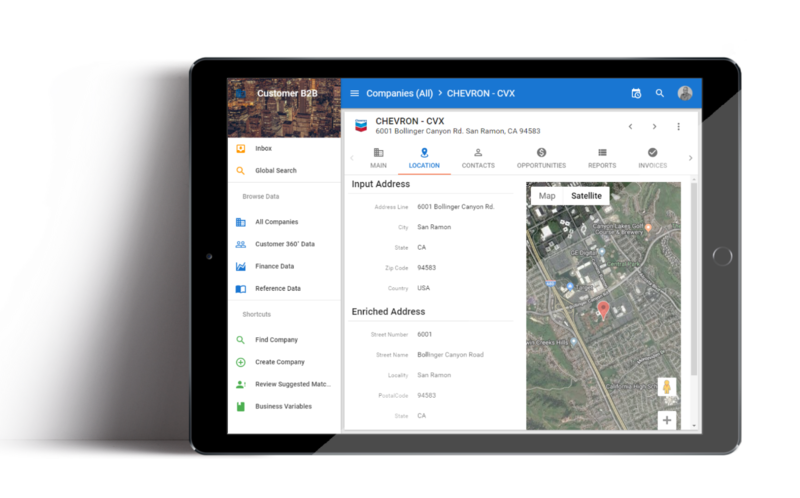 Enrich, augment standardize using built-in rules and capabilities, or blend data from any data source (Google Maps, Duns, etc) to increase the value of your data. The high-performance matching engine supports fully-customizable fuzzy/exact matchers with scores, manual match and merge, record or field-level consolidation/survivorship with value overrides. 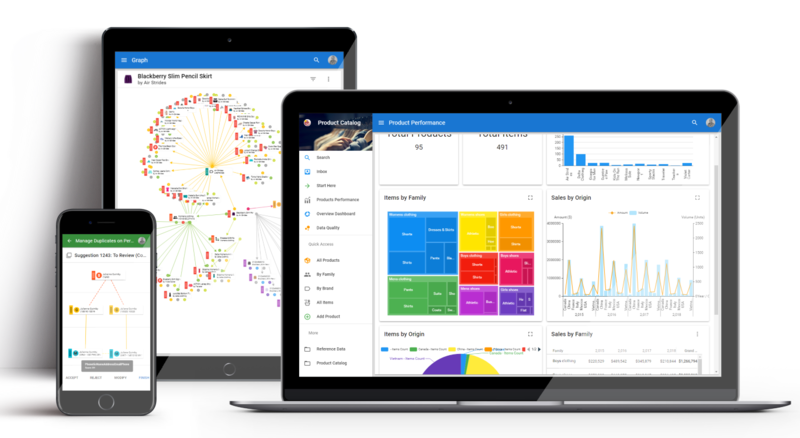 Design awesome dashboard applications in xDM Dashboards and integrate dashboards in data management application gain insight and operational efficiency. Data governance stands at the heart of your data management initiative. Terms, rules, policies, and collaborative workflows are defined as part of the data model and automatically exposed/enforced in the applications. Organize and display your data into any type of hierarchies (rollups, ragged, unbalanced, etc). Navigate complex relations within and across domains using the graph view. Role-based security uses your enterprise directory and SSO to enforce detailed privileges (read, write, export, delete, etc) down to the data cell. Privileges automatically shape the user experience in applications. The platform uses a robust architecture that provides you with clustering, high-availability, proven scalability and complete availability of your data at any time. xDM implements a certification process that keeps your data under control as it changes in source systems or in the hub. Data traceability, lineage, historization is available for compliance reports with no extra effort.